9887 - Jacket and Gilet using Freya Leaflet with designs for a Jacket and Gilet using Sirdar Freya. 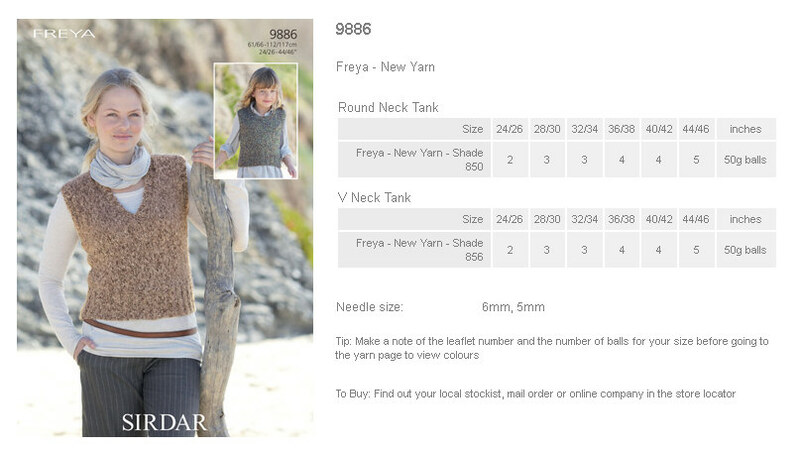 9886 - Round Neck Tank and V Neck Tank using Freya Leaflet with designs for a Round Neck Tank and V Neck Tank using Sirdar Freya. 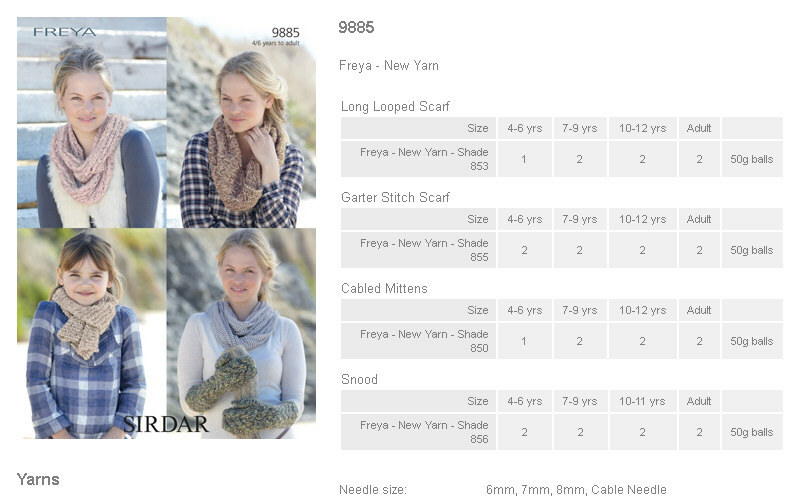 9885 - Long Looped Scarf, Garter Stitch Scarf, Cabled Mittens and Snood using Freya Leaflet with designs for a Long Looped Scarf, Garter Stitch Scarf, Cabled Mittens and Snood using Sirdar Freya. 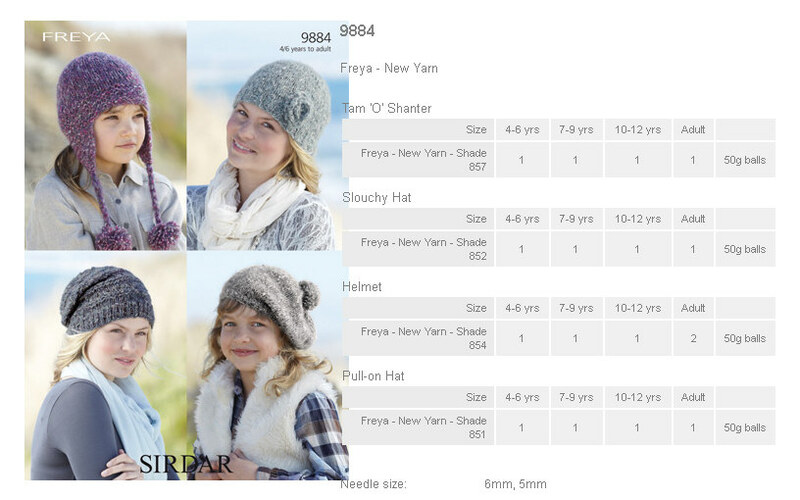 9884 - Tam 'o' Shanter, Slouchy Hat, Helmet and Pull-on-Hat using Freya Leaflet with designs for a Tam 'o' Shanter, Slouchy Hat, Helmet and Pull-on-Hat using Sirdar Freya. 9883 - S.U.N. 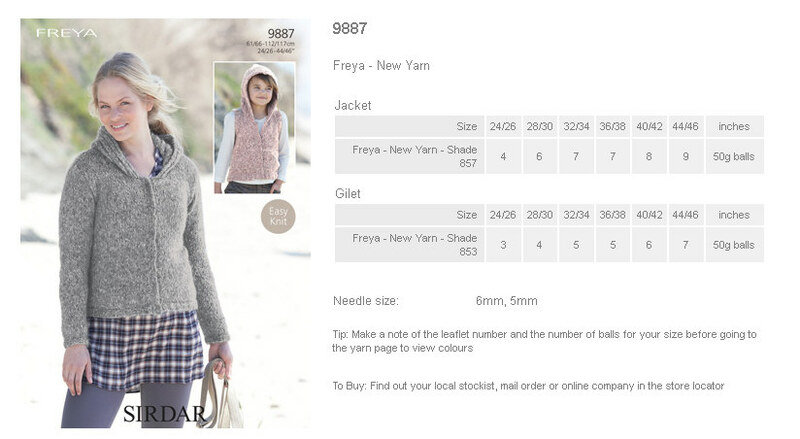 Sweater and Round Neck Sweater using Freya Leaflet with designs for a S.U.N. 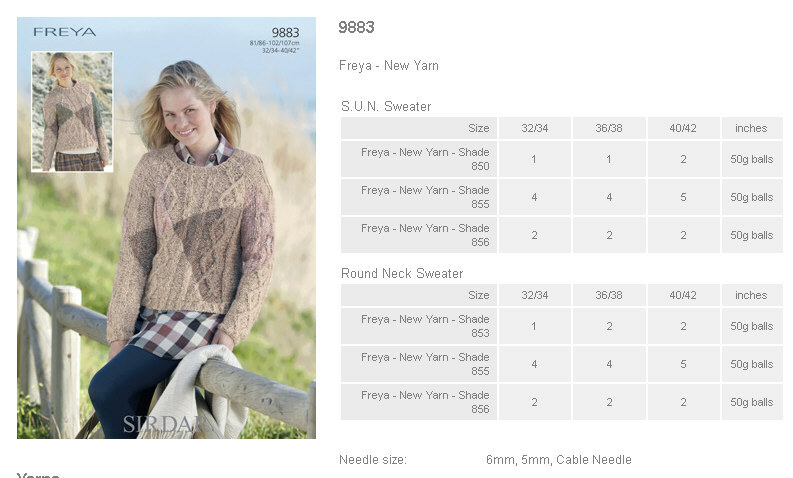 Sweater and Round Neck Sweater using Sirdar Freya. 9881 - Sweater and Tunic using Freya Leaflet with designs for a Sweater and Tunic using Sirdar Freya. 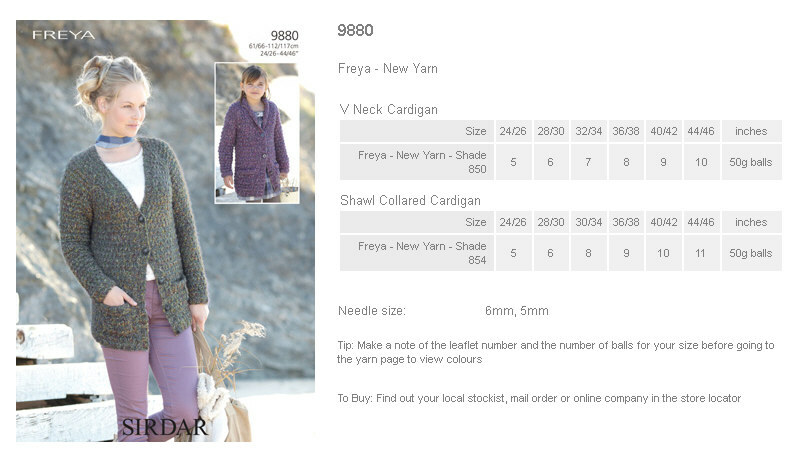 9880 - V Neck Cardigan and Shawl Collared Cardigan using Freya Leaflet with designs for a V Neck Cardigan and Shawl Collared Cardigan using Sirdar Freya.